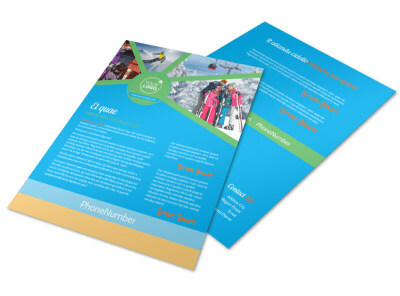 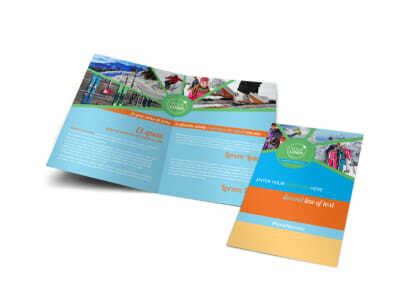 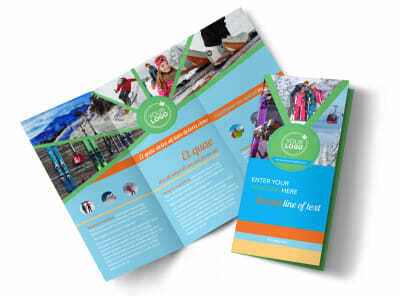 Customize our Ski Equipment Postcard Template and more! 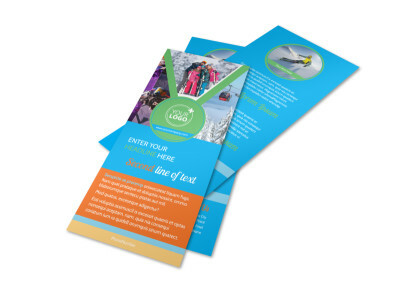 Before customers hit the slopes, make sure they know where to go for the ski equipment they need with your own custom ski equipment brochures. 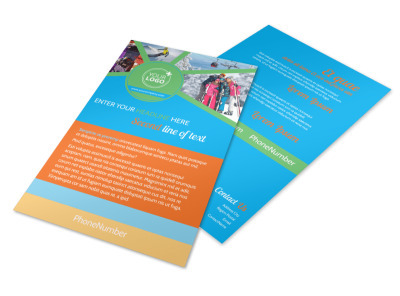 Our user-friendly online editor can be used to customize a template with high-resolution images of the ski equipment you have available, along with text detailing prices and what each piece is used for. 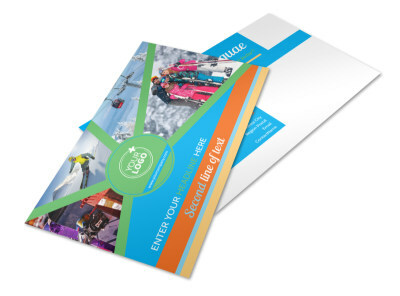 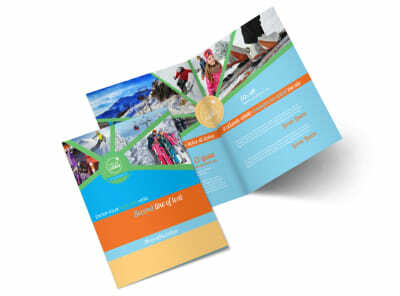 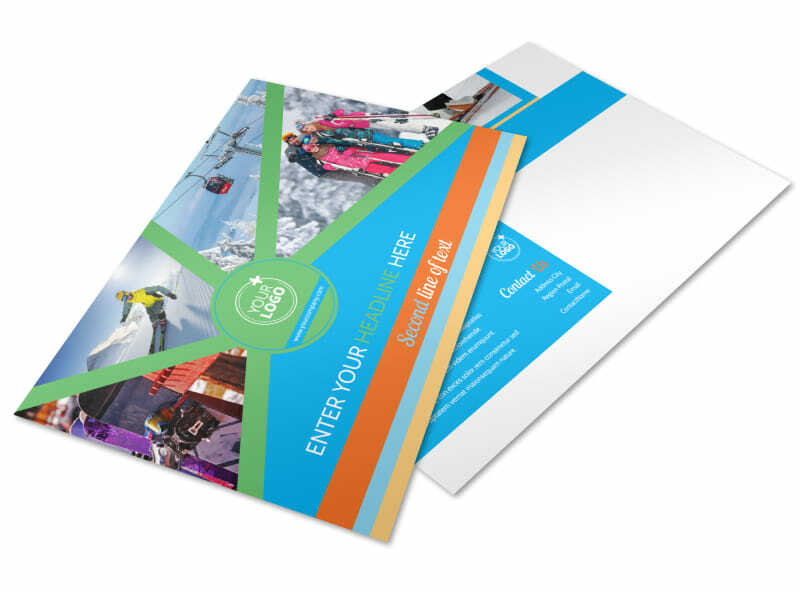 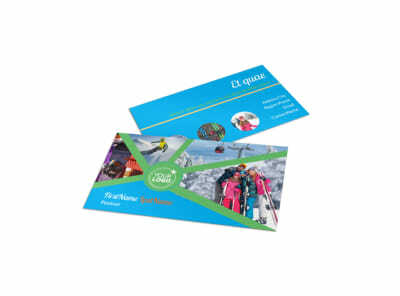 Print your bifold or trifold brochure from anywhere or leave that to our experts so you can get back to matching skiers with the perfect equipment for the slopes.